Because not all burial processes are the same, it helps to have a something that can help guide those in attendance through each step. For those unfamiliar with what to expect, this assistance can make an already emotional situation just a little more comfortable. 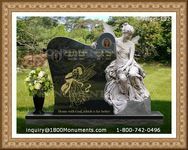 Creating a funeral service program can be done rather quickly once key decisions have been made. Many people choose to keep these handouts as sentimental tokens of memorial services, so the cover should announce the occasion. The name of the deceased, along with the dates they lived and their photograph, usually grace the document's front. Some may opt to include a title or caption along the lines of "In Loving Memory Of.." as well. The inside is fully customizable and may contain one, or multiple pages of information. The order of events are always included and other things such as poems and photos may also be added. Because they are often used as keepsakes, printing the obituary in the pamphlet would be most considerate. One page inside the pamphlet should be dedicated to the timeline of events. This normally starts with procession or entrance, followed by introductions and opening remarks, continuing with any hymns, prayers, songs or passages to be used as part of the memorial. It ends with the eulogy and additional tributes, closing prayers, blessings or committals and lastly, the recessional. Verses and passages should be identified by the works in which they are found and their authors, and musical pieces are also to have their artists or composers credited. The officiant, all speakers and participants need to be noted by name in the printout. 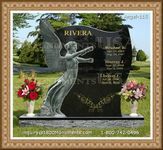 This is respectful and lets mourners access the information again at a less stressful time. Printing out a funeral service program to hand out to all who attend the memorial helps things run more smoothly. It serves as a way to let everyone know what is going to happen and the order in which things will occur. 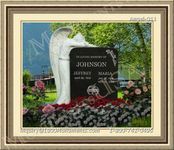 This is also a way to provide each mourner with a keepsake to remember and honor a lost friend, associate or family member.